For Indians, Sri Lanka is often known as the place where the demon god Ravana took Sita, but it is much more than that. Just a short hop across the Palk Straits, that separates the two countries, the Jewel of Indian Ocean is a fantastic family holiday destination. As modern as Singapore, as sandy and blue as Maldives’ lagoons, as green and dense as the Indian countryside and with its rich cultural sites, the small island will satisfy any traveller. For more than two decades, Sri Lanka was the victim of a very violent civil war between the Tamil terrorist group LTTE and the government dominated by Sinhalese. In 2004, the people of the island suffered many losses with the Tsunami. But with the peace declared in 2009 as well as the reconstruction of the areas devastated by the tsunami, Sri Lanka is now topping the list of family holiday destination. Indeed, it offers the variety to suit any traveller’s tastes: beaches, treks in higher lands, water rafting, dolphin and whale spotting, countryside, rainforests and wildlife safaris. Even the northern part of the country that was closed to tourists is now open. 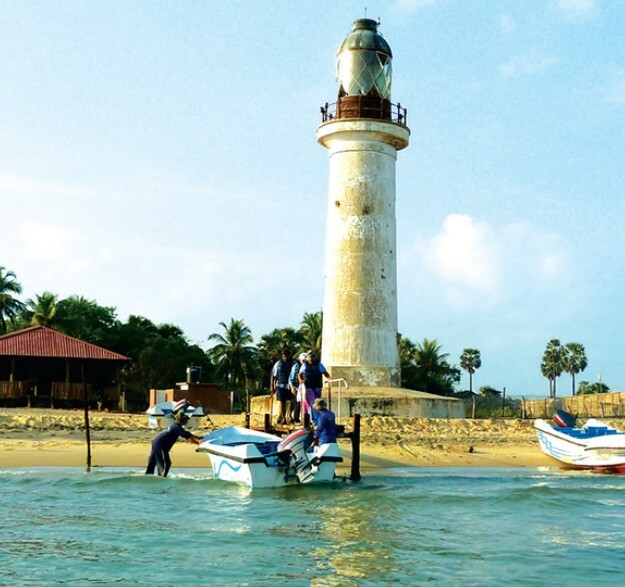 Its main town Jaffna will give you a deep plunge into the Tamil culture. When you are on an island, the first things that come to your mind are the beaches and Sri Lanka has plenty of them. When the seas are rough on one side of the island, water is serene and calm on the other side. For a small island, the biodiversity of the country is very impressive. 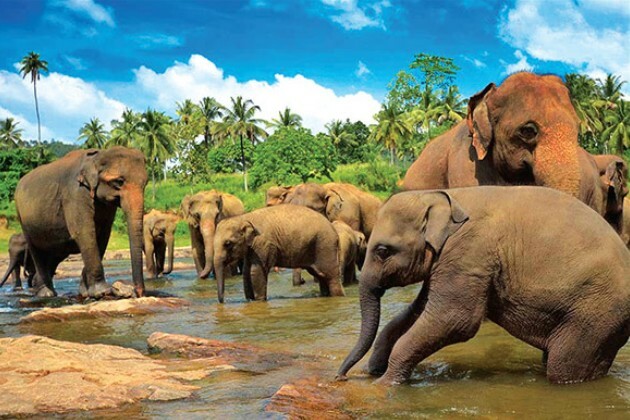 Sri Lanka is also home to a wide variety of mammals, birds, fish, butterflies and snakes. The big four of Sri Lankan wildlife are the elephant, the leopard, the sloth bear, the whales and the best wildlife parks include Yala National ParK (the second largest in the country), Udawalawe National Park (for elephant watching) and Bundala National Park (for bird watching) Did you also know that a small country like Sri Lanka has as many as eight world heritage sites? These include the cultural capital of the island, Kandy, the sacred city of Anuradhapura, the Dutch fort of Galle, the ancient city of Polonnaruva, the rock fortress of Sigriya, the golden rock temple of Dambulla, the Horton plains and the Singhraja rain forest. Here is a collection of experiences not to miss! 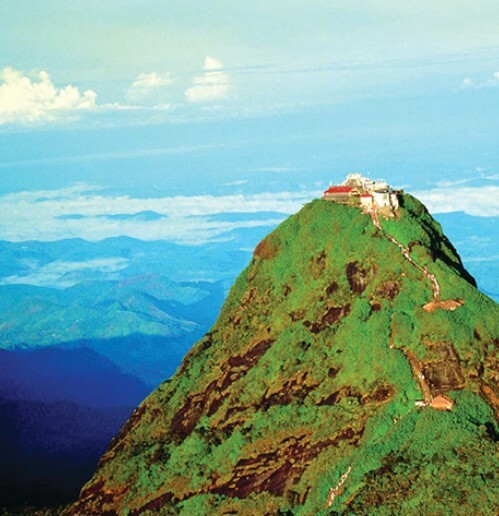 It is one of the highest mountains of Sri Lanka. Conic in shape and standing talla t 2 243 m, it is considered to be a sacred place by the Hindus, Buddhists and Muslims. It takes about three hours to reach the top by foot (allow an hour either way depending on your fitness). At the top, there are some breathtaking views across the surrounding hills. Steps lead up to the sacred footprint, on top of a 4-m rock, which is covered by a huge stone slab in which has been carved another print. The Hindus believe it is trace of passage of Vishnu or Shiva, while the Muslims say the foot print is the foot of Adam himself when he was forced to leave the Garden of Eden and the Buddhists maintain that these are Buddha’s footprins. Founded in the 16th century by the Portuguese, Galle reached its apogee in the 18th century just before the arrival of the British. It is one of the best examples of a fortified city built by the European colonisers in South and South East Asia, with a unique mix of the traditional European architecture and the traditions in South Asia. When the fortified town fell into the hands of the Dutch in 1640, they decided to replace the precarious Portuguese defences made mainly of palisades and earth banks. Today, the old city of Galle, with its fort and fortifications protecting the small streets where we can still see some ancient Dutch houses, is classified by UNESCO as a World Heritage site. The last capital of the Sinhala kings is also a sacred Buddhist site, home of the Temple of the Tooth relic. The UNESCO declared this famous pilgrimage place world heritage site in 1988. Founded in the 14th century, Kandy shines with its Royal Palace, a unique example of traditional architecture in Sri Lanka. Juxtaposed with the temple, the ensemble has undergone several modifications over time. Limestone, marble, sculpted wood, terracotta and ivory are among the wide range of materials used for the overall construction. Besides the building itself, the natural surroundings of Kandy will amaze the tourists. Situated at an altitude of 500 m, the city sits in the midst of a luxurious spread of lush green vegetation. Do not miss the superb Botanic Garden here that dates back to 1821. Renowned for its impressive collection of orchids, it also has a spice garden and several medicinal plants and a majectic alley of palm trees. Yet another Sri Lankan site classified by UNESCO, Anuradhapura is one of the oldest inhabited cities in the world. A former capital of Sri Lanka, it is renowned for its particularly well-preserved ruins, an authentic showcase of the civilization of the country. It is also a sacred city, founded around a cutting from the “Tree of Enlightenment”, the fig tree under which Buddha attained enlightenment. 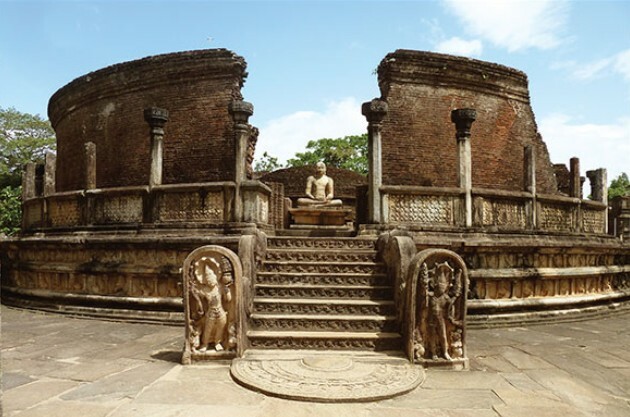 Founded in the 4th century BC, Anuradhapura remained the political and religious capital of the kingdom for ten centuries. Long covered with a thick jungle, the city and its monuments are now accessible to visitors, who can admire palaces and monasteries. Among the various remains of the site, the dagobas and sacred bell-shaped buildings are spread over an area of over 40 km2. 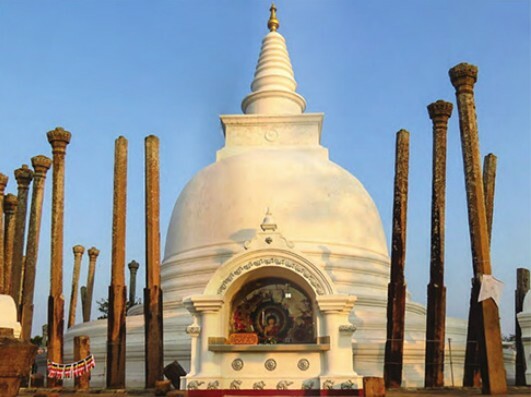 Located in the center of the island, Anuradhapura is well connected to the main cities of Sri Lanka by train and an effective road network. 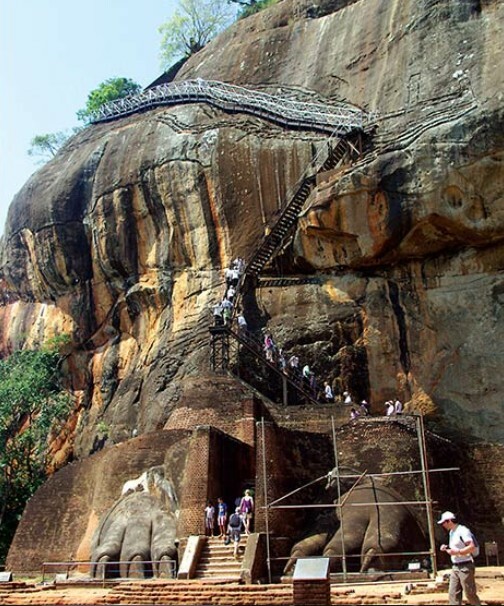 Sigiriya, or Lion Rock, is another major archaeological site in Sri Lanka. The impressive city is named after the 180-m high red stone rock, on which it was built. You can visit here the ruins of the fortress of King Kassapa from the late 5th century AD. Surrounded by a thick jungle, the enclosure is particularly well protected. During his reign at the top of the rock, the king had built sumptuous spaces whose remains can still be admired today. Tanks, sculptures, various fountains and monuments have survived the ravages of time. One of the curious specialities of this place is the ingenious system of water supply to all the residents of the citadel as the water stored in the tank passed through a pressurising process which allowing water to reach even those residents who lived 350 m higher than the tank. Sirigiya is also known for its centuries-old frescoes and graffiti. Watching whales and dolphins has become one of the favorite activities of tourists in Sri Lanka. Located in an area protected by the United Nations’ International Commission, the Sri Lankan waters are ideal for spotting these giant mammals. Some destinations such as the Alankuda beach, the west coast, Mirissa and Dondra in the south, are popular for those unforgettable experiences. 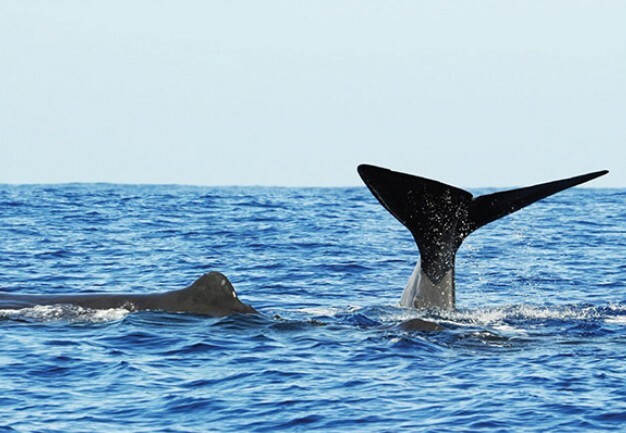 Many tour operators offer escapades into the Indian Ocean, particularly in December and January when the chances of seeing the sea mammals is the highest. The former capital of Sri Lanka has the wealth of very carefully preserved 122 acres of ruins. At its peak in the 12th century AD, the city was home to countless monuments. An incredible garden city had been designed there, where one can see the remains of palaces and grandiose temples. It is also here at Pollunaruwa that we can admire the Gal Vihariya, a set of three large statues of Buddha carved into a rock wall. The first is shown seated in a meditation, the second standing with arms folded across the chest and the third, the famous reclining Buddha, which measures 15 meters and is considered to be a marvel of Buddhist art. 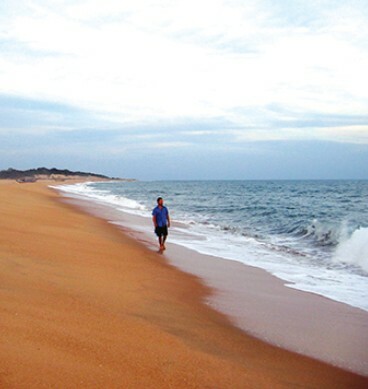 Considered to be the mecca of surfing, Arugam beach in south of the island hosts many tourists, especially from June to September. Shaped as a crescent, the long, white sand beach is known as one of the most beautiful beaches in the country. Besides surfing, you can enjoy many other activities here. This paradise is home to many species of birds, elephants and monkeys, as well as many very interesting archaeological sites. Many facilities and accommodation to suit every budget have been created at Arugam to meet the needs of tourists. 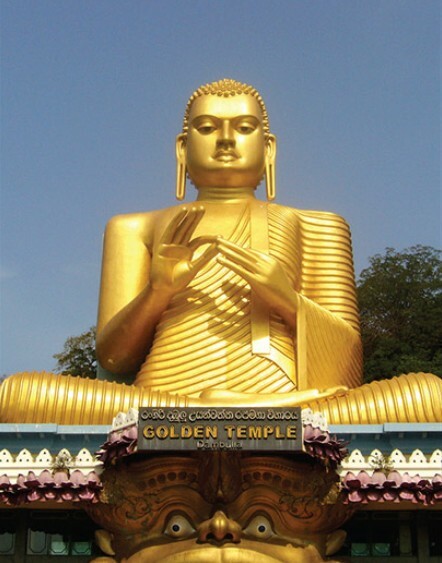 Come to Dambulla to admire the golden temple, a very important place of pilgrimage for over 20 centuries. This is the largest and best-preserved monastery amongst the cave-temples of Sri Lanka. Unique rural Buddhist paintings cover an area of 2100 m2. Among them, the visitor can admire the masterpieces of the 18th century art. A total of 157 statues of various sizes were also kept there. The origin of the golden temple dates back to 3rd century BC. After many modifications, it was during the 12th century AD that it took the shape in which we see it today. Rice and curry is the traditional dish of Sri Lanka. Actually, it’s a mountainous plate of rice, generally accompanied by assorted meat and/or vegetable curries, various pickles, sambols, and a handful of tiny poppadums. The rice and curries served in the island’s better hotels, guesthouses and restaurants, however, have evolved far beyond this basic formula and often include a sumptuous miniature banquet, with a plateful of rice accompanied by at least five, and sometimes as many as 15, side dishes. These typically feature a culinary compendium of contrasting textures and flavours, from highly spiced meat and fish curries to gently flavoured dishes of pineapple, sweet potato or aubergine, plus servings of unusual local vegetables – anything from drumsticks (murunga, a bit like okra), ash plantain or jack fruit to other, more arcane regional foodstuffs – as well as the classic mallung (shredded green vegetables cooked with grated coconut and turmeric). You’ll also be given a bowl of dhal, some crispy little poppadums and at least one or two dishes of sambol. 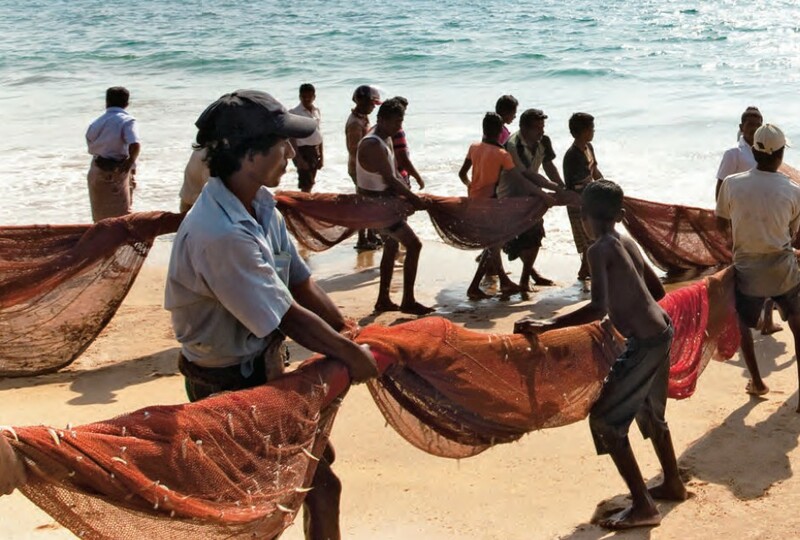 Nice article about Sri Lanka. It was an amazing experience to be in this country and I hope that I will rise one more time there to visit the east cost and the north of the country. When are you coming back to Sri Lanka?